When on sailing holidays along the Turkish coasts you should visit - inland near Pamukkale - the archaeological site of Aphrodisias with very interesting excavations. 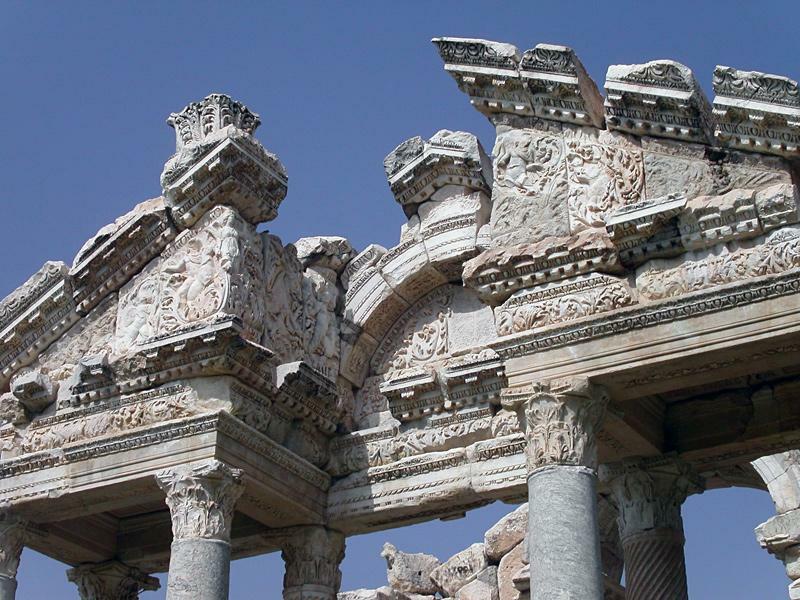 Believed to be of very ancient origin, Aphrodisias had a Sanctuary of Aphrodite (with an oriental looking statue of the goddess), the centre of a widely popular cult, and was also famous for its school of sculptors and its doctors. Pamukkale is also known as Hierapolis and can be visited from the major yacht charter ports of Bodrum, Marmaris, or Fethiye. Often such an excursion is included with gulet cruises, which are typical for these coasts. Gulet cruises are very luxurious sailing holidays with all extras such as air-conditioning, chef cook, hostesses etc. Gulet holidays are also known as Blue cruises.
.: Back to the yacht charters guide :.